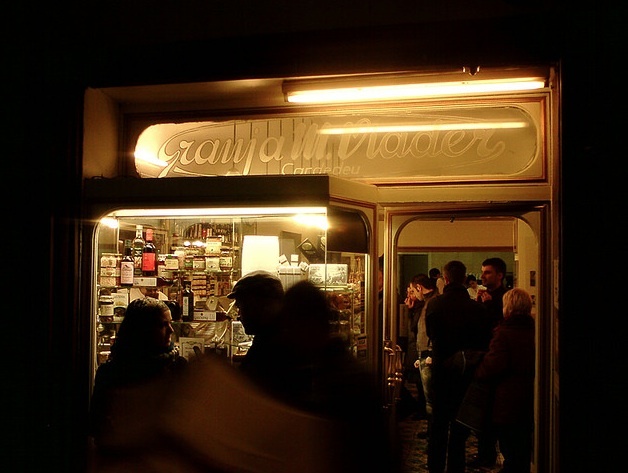 Wholesome Granja Viader has been tickling Barcelona's sweet and dairy tooth since 1870—it's a great place for breakfast (get there early or be prepared to queue) as well as ultra-fresh milk from the Viader farms and Barcelona's richest, most decadent hot chocolate. Proud inventor in 1931 of Cacaolat (a bottled chocolate milk drink) Viader's menu includes tasty 'Mallorcan milk' llet Mallorquin, flans, puddings, cheeses, milkshakes, ice creams and sorbets and, for the lactose intolerant, orxata, a cold drink made from tigernuts (chufa) or almonds, sesame seeds, rice and barley. They also do coffee and herbal teas from the Pyrenees, cakes (try the light, airy ensaimadas) and churros-—long deep fried doughnuts that Spaniards of iron constitutions like to dip in their hot chocolate.